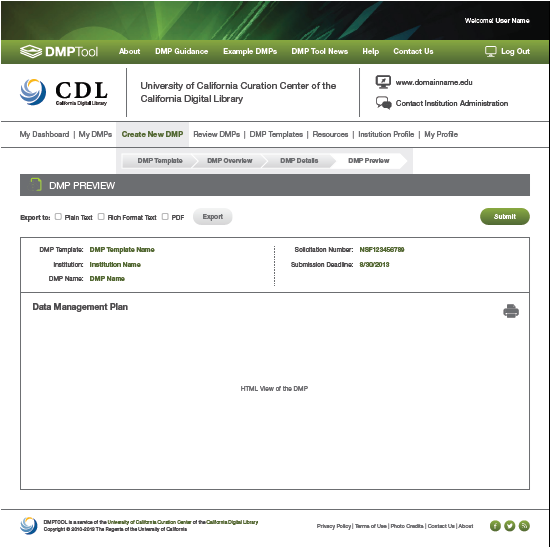 In this final feature highlight post, we’re going to focus on the ways the DMPTool 2 can make it easier for grant writers to get feedback on their data management plans. 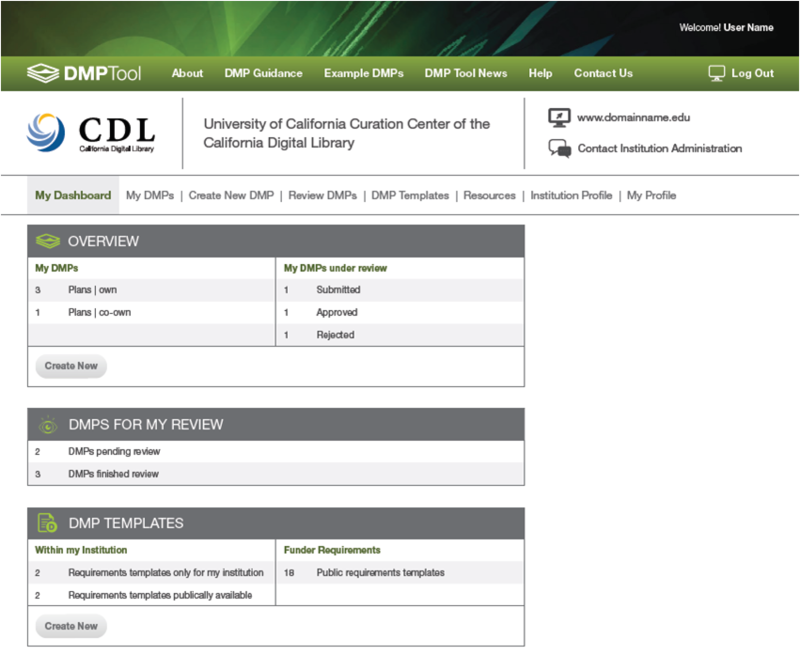 The DMPTool 2’s submission page, allowing for review. Institutions have the option to allow their grant writers to save and submit their completed data management plans for review. Users that have been granted “reviewer” permission – who have been trained or demonstrated an understanding of DMP writing – will be able to comment on the plan before it is exported and added to the grant as a whole. We want to create a tool that not only collects up-to-date, useful data management information but also facilitates communication and makes it as easy as possible for data services to have a broad impact. Our previous feature highlight talked about the ability to designate users as co-creators to assist in the writing of data management plans. The review structure is essentially a wider implementation of the same principle. Institutions with staff contributing to data services can opt in to this plan, giving their homepage not only the same customized access to the tool but also a list of plans available for review. This will create an new line of communication, and a new way to make researchers aware of the resources at their disposal. While not every data practices problem can be addressed through this collaborative structure, it does provide a new way for librarians, grant officers, and other stakeholders to identify and contact the members of their community who need help. The DMPTool 2 is in active development now, and we’ll keep you up to date on the project over the coming weeks!